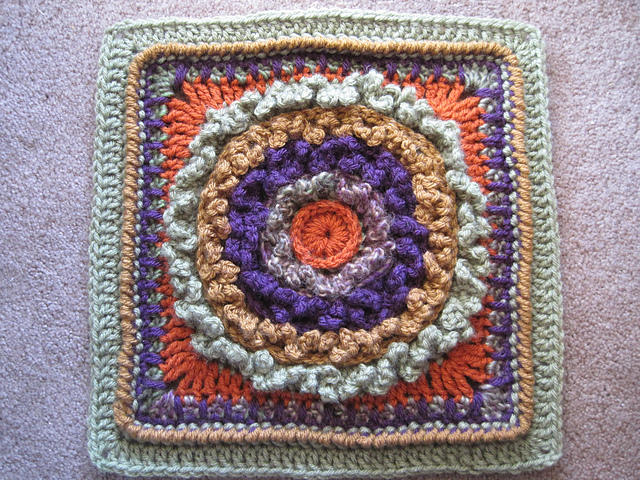 For Week 3 of our 12″ Afghan Square CAL we are featuring Loopy, a free pattern debuting here on my blog. 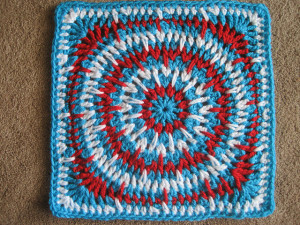 I think this is a very fun square to stitch, and the beginning rounds make a nice scrubby or dishcloth if done in the right yarn. 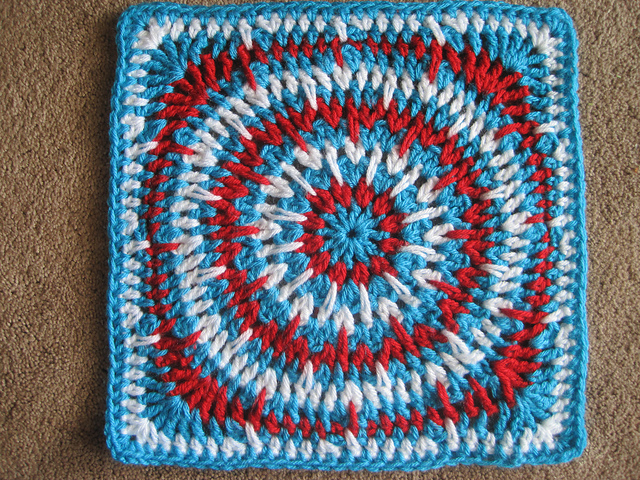 The crab stitch is also interesting. I am working on it now in my CAL colors, but here is the pattern to get you started. 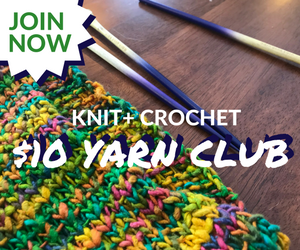 I am going to leave the pattern free here on my blog (there is an easy-print button) and as a paid pattern in my Ravelry store if you want to save it to your Rav library. 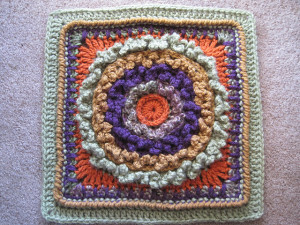 Also available in the 18 pattern E-book compiled especially for this CAL for $15.00. The paid pattern this week is Spiky Circle, an easy-to stitch square using the spike stitch, which is working the stitch into a row below. You can change the placement of the spikes for a different look. This block reminds me of fireworks. 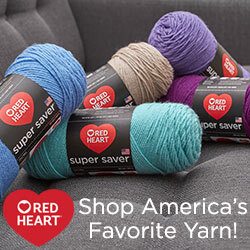 Available on Ravelry for $3.99, or in the 18 pattern E-book for $15.00.